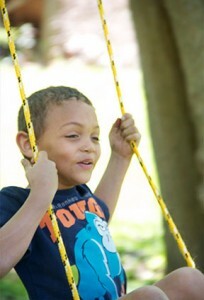 We offer a family, Christian oriented outdoor adventure and our entire facility is yours for the duration of your stay. Exclusive, secluded and private. 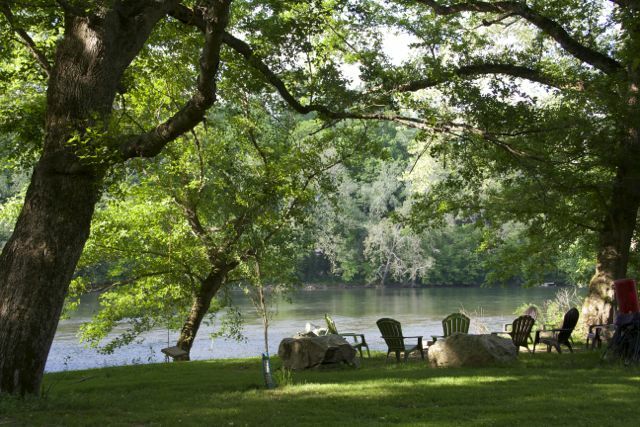 Nestled between the railroad tracks and the edge of the beautiful New River in Giles County, Virginia lies six acres of secluded bottom land that is perfectly situated to enhance the many recreational activities the New River has to offer. Unguided activities included with the cabin are canoeing, tubing, kayaking, basketball, crochet, horseshoes, picnicking and of course relaxing. A bonfire at night by the river offers guests plenty of action to watch. Fish jumping, birds feeding and an occasional glimpse of the Bald Eagle and Osprey. Young and old alike will enjoy watching the sun set as they roast marshmallows and hot dogs over the open flame. Designed for families to get outside and play. 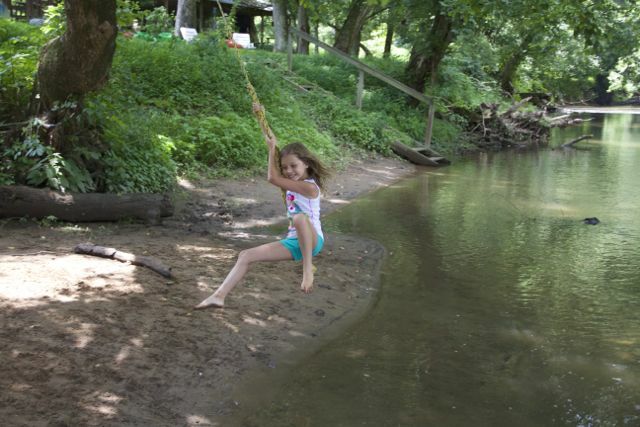 We have tons of toys for the children including a rope swing over our sandy beach. Buckets, shovels, water blasters, trucks, hula hoops, volleyball, badminton, corn hole and horse shoes. A riverside gazebo is provided with rocking chairs. Perfect for relaxing and enjoying seeing your children or grand children have a splashing blast. A 1500 sq. ft. picnic shelter with fireplace, concrete floor and 10 flip-top table benches, is perfect for wedding receptions, fellowship gatherings, family, corporate outings, class reunions and birthday parties. We customize your stay with us. Specifically for you and your friends. 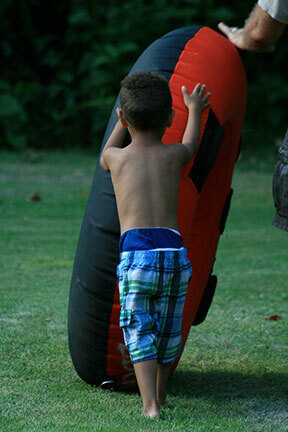 We offer a family, Christian oriented outdoor adventure and our entire facility is yours for the duration of your stay. Exclusive, secluded and private. 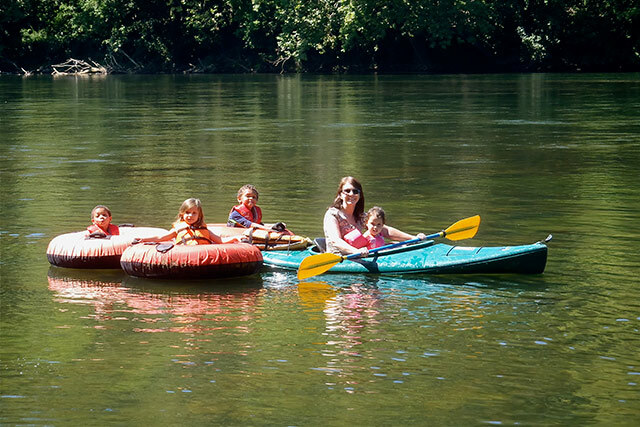 Nestled between the railroad tracks and the edge of the beautiful New River in Giles County, Virginia lies six acres of secluded bottom land that is perfectly situated to enhance the many recreational activities the New River has to offer. 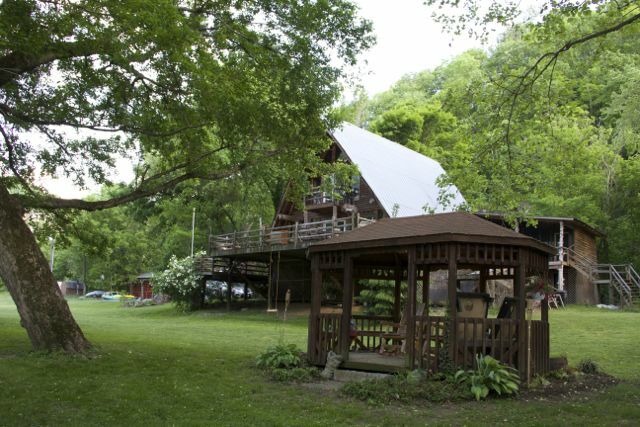 Unguided activities included with the cabin are canoeing, tubing, kayaking, basketball, crochet, horseshoes, picnicking and of course relaxing. 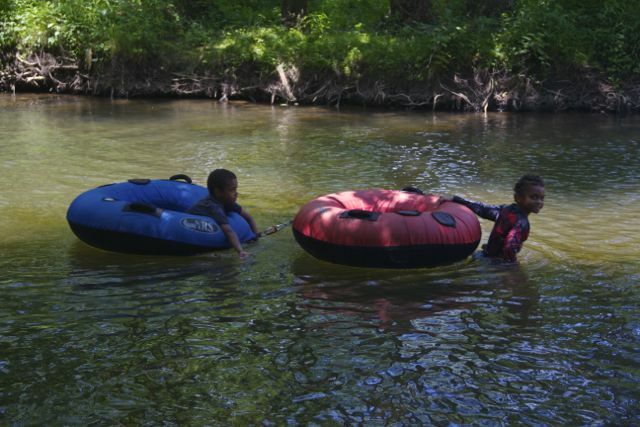 Guided raft, canoe, kayak & fishing trips are also available for a small fee. We also offer, at no extra expense to overnight guests, canoes, kayaks and tubing with life jackets, dry bags, coolers and shuttle service. We can put 30 people or more on the river at one time. At New River’s Edge all the goodies are included and your stay is private and personal. Your vacation at your pace. No hidden fees. No lines or waiting. Your comfort, fun and enjoyment are our priority. Small mouth bass fishing at it’s best is available at dusk in your own front yard. Wade fishing using top water lures in the late evening hours often produce explosive results around the islands at New River’s Edge.